> > nice to have it ready by the release of version Skolelinux 1.0 . Or is it a sprite, goblin, gnome? brownie and the English Robin Goodfellow. Kobold in German. 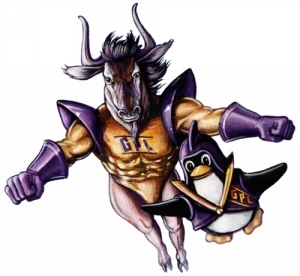 What about the Idea for a logo which follows the "Dynamic Duo"
LyX, XFCE and a lot of other big Projects in the past.